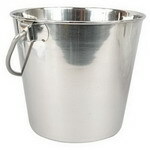 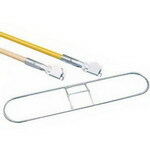 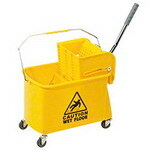 A Wet mop or Moist mop is, in professional cleaning, used as in the second step in the cleaning of a surface. 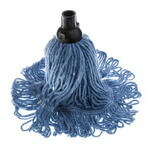 The wet mop is swept over the surface to dissolve and absorb fat, mud and dried-in liquid contaminations. 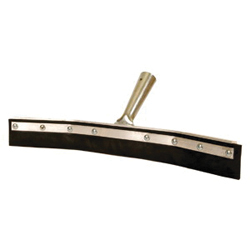 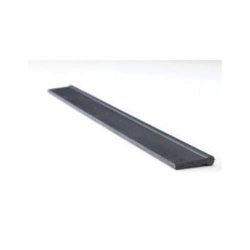 Squeegees is a tool with a flat, smooth rubber blade, used to remove or control the flow of liquid on a flat surface.